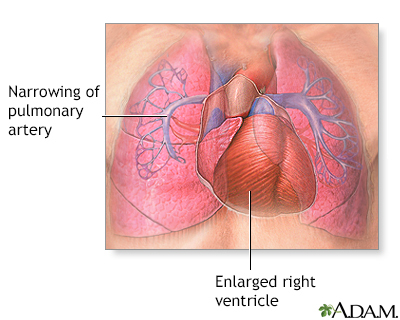 Pulmonary hypertension (PAH) is abnormally high blood pressure in the arteries of the lungs. With PAH, the right side of the heart has to work harder than normal. As the illness gets worse, you will need to do more to take care of yourself. You will also need to make changes in your home and get more help around the house. Ask the doctor or therapist how far to walk. Try not to talk when you walk so you do not get out of breath. Stop if you have chest pain or feel dizzy. Ride a stationary bike. Ask your doctor or therapist how long and how hard to ride. Use small weights or rubber tubing to make your arms and shoulders stronger. Raise your legs straight out in front of you. Hold for a few seconds, then lower them back down. Try to eat 6 small meals a day. It might be easier to breathe when your stomach is not full. Do not drink a lot of liquid before or while eating your meals. Ask your doctor what foods to eat to get more energy. If you smoke, now is the time to quit. Stay away from smokers when you are out. Do not allow smoking in your home. Ask your doctor or therapist what breathing exercises are good for you. Take all the medicines that your doctor prescribed for you. Talk to your doctor if you feel depressed or anxious. Tell your doctor if you are becoming dizzy or have a lot more swelling in your legs. Get a flu shot every year. Ask your doctor if you should get a pneumonia vaccine. Wash your hands often. Always wash them after you go to the bathroom and when you are around people who are sick. Ask visitors with colds to wear masks, or to visit you after their colds are gone. Make it easier for yourself at home. Put items you use often in spots where you do not have to reach or bend over to get them. Use a cart with wheels to move things around the house. Use an electric can opener, dishwasher, and other things that will make your chores easier to do. Use cooking tools (knives, peelers, and pans) that are not heavy. Use slow, steady motions when you are doing things. Wrap yourself in a towel rather than drying off. In the hospital, you received oxygen treatment. You may need to use oxygen at home. DO NOT change how much oxygen is flowing without asking your doctor. Have a backup supply of oxygen at home or with you when you go out. Keep the phone number of your oxygen supplier with you at all times. Learn how to use oxygen safely at home. If you check your oxygen with an oximeter at home and your number often drops below 90%, call your doctor. McLaughlin VV, Humbert M. Pulmonary hypertension. In: Mann DL, Zipes DP, Libby P, Bonow RO, Braunwald E, eds. Braunwald's Heart Disease: A Textbook of Cardiovascular Medicine. 10th ed. Philadelphia, PA: Elsevier Saunders; 2015:chap 74.